Take a look at the 2012 GOP Platform and you will discover a document which is quite libertarian in nature. We The People: A Restoration of Constitutional Government is a strong endorsement of small government — the essence of libertarianism. This second includes defenses of the First, Second, Fourth, Fifth, Ninth, and Tenth Amendments against current attacks. Unfortunately, this section also includes a defense of federal government intervention into the institution of marriage and even includes the word “sacred” — showing that the GOP has a long way to go in fully accepting the division of church and state. In the same vein, this plank also still contains long outdated and ridiculously irrelevant language opposing legal abortion. America’s Natural Resources: Energy, Agriculture and the Environment supports libertarian values by proposing to end federal government persecution of energy initiatives like the Keystone XL pipeline, to stop federal government subsidies like the Direct Payment program for farm businesses, and to rein in the EPA tyranny which is currently killing American manufacturing jobs. Reforming Government to Serve the People includes initiatives for regulatory reform (i.e. reduction) in the Internet, telecom, finance, and postal sectors. It also calls for modernizing the federal civil service to reduce massive inefficiencies and privatizing the TSA to reduce costs and improve service levels. Renewing American Values to Build Healthy Families, Great Schools and Safe Neighborhoods is perhaps the least libertarian plank of the platform. This plank is a mostly a nod to social conservatives and includes support for federal control over marriage, adoption, foster care, the Internet, prescription drugs, healthcare research and development, K-12 education, higher education, neighborhood crime, and state prisons. Frankly, this section is a list of embarrassments. One of the few positives in this section is opposition to ObamaCare. American Exceptionalism is an oddly named section which contains the GOP’s positions on Americas defense of liberty at home and support for liberty across the globe. 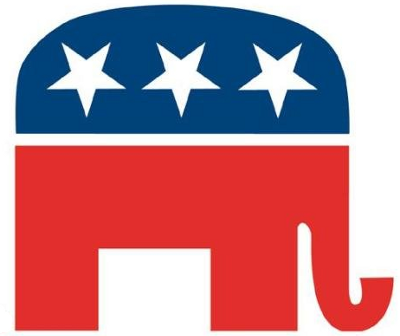 There is obvious room for improvement, such as ending the War on Drugs, but overall the 2012 GOP Platform embodies many of the best libertarian ideals. Libertarians will not find such consideration and camaraderie in the DNC Platform.